The Bletchley Park story is about more than Enigma. A different kind of traffic was also coming over the airwaves, being intercepted and mined for crucial intelligence. But it was generated by an even more fiendishly complex system than Enigma, which was itself believed to be unbreakable. Lorenz was the machine being used by Hitler and his high command to send top level, strategic messages. It was less portable and more secure than Enigma, but that didn’t defeat the boffins at Bletchley Park. They cracked this code too, code naming it Fish, and assigning individual fish names to links between different command posts and cities. The decision to establish a special section to mechanise the laborious process of cracking the machine’s ever-changing settings proved to be crucial in giving Allied commanders a glimpse into the highest-level decision making. It wasn’t just a breath-taking achievement to break into this system and read the top secret messages; this newly gleaned information had a huge impact in the field of battle. The battle of Kursk in 1943 was a triumph of advance knowledge, courtesy of intercepted and successfully decrypted Lorenz messages. Germany planned to cut the Russians’ ability to advance, by weakening its forces significantly. But the Russians were warned, thanks to Ultra intelligence. The Battle of Kursk became Germany’s last great offensive on the Russian front. 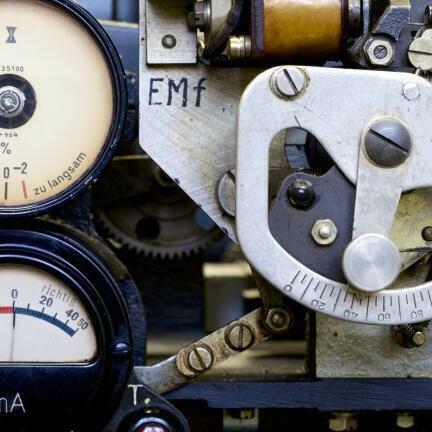 We explore how Bletchley Park became able to share Ultra intelligence directly with US commanders in the field on the same basis as the British. American General George Patton was the first to benefit from this, receiving intelligence directly during the invasion of Sicily in July 1943. We tell this story with help from Bletchley Park’s Research Historian, Dr David Kenyon.